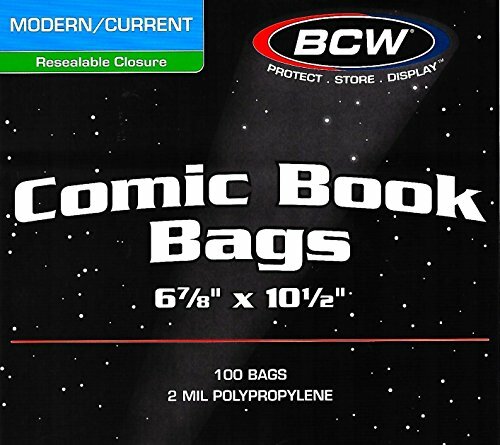 The BCW Resealable Current Age Comic Bags are an acid free, archival quality product made of crystal clear polypropylene. These bags have a reusable adhesive tape strip on the body of the bag so the collector can fold the top flap over and lock in the comic. Available in two sizes so you can now fit your thicker current comics into the appropriate bag. 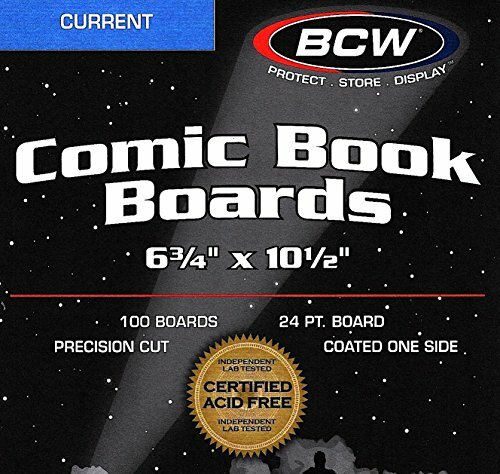 The BCW Current Comic Backer Boards are made from a full 24 point paperboard.